‘Sculptures & Drawings. 2000-2014’ at the S.M.A.K. is the first mid-career presentation of the oeuvre of Berlinde De Bruyckere (1964, Ghent). This exhibition shows a hundred-odd works which have so far rarely if ever been seen in Belgium, though in the last decade the artist has exhibited in many of the most important international museums and institutions. The exhibition does not give us a chronological survey, but is conceived as a promenade taking in a select choice of drawings, sculptures and installations that bring to light the evolution and nuances of the oeuvre. 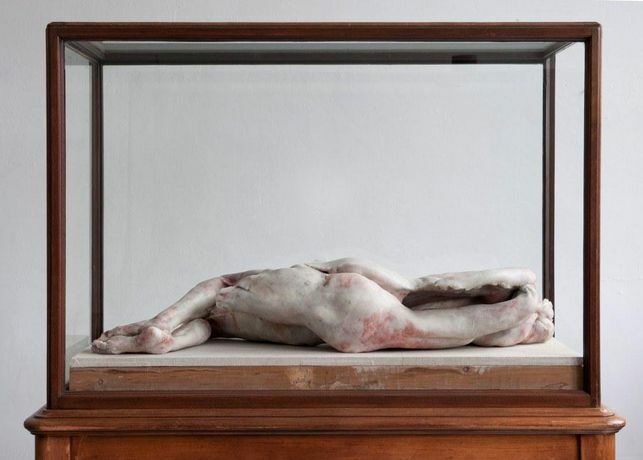 It combines the core motifs of De Bruyckere’s oeuvre: the vulnerability of man, which is her chief theme, and the suffering body, which is the source of her visual idiom. The presentation includes earlier works in textile and horse skin that gained the artist her international renown. The sculptures in wax evolve gradually from human bodies to creatures midway between plant and animal. The pivotal work is ‘Kreupelhout – Cripplewood’ (2012-13), the monumental installation which has previously only been shown at the 2013 Venice Biennale. Finally, drawings are an essential part of this exhibition. They are hung in series in the same rooms as the sculptures and enrich the associations and cross-connections that relate all the works to each other. 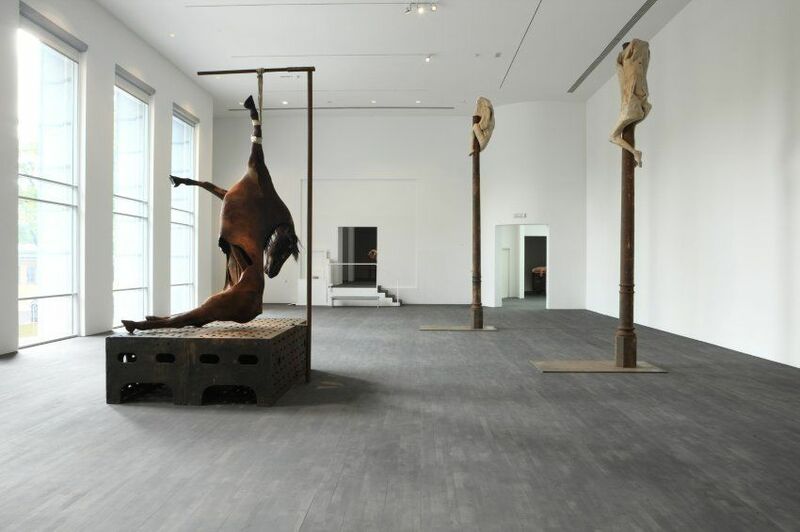 A modified version of the exhibition ‘Berlinde De Bruyckere. Sculptures & Drawings. 2000 – 2014’ will then go to the Municipal Museum at The Hague in the Netherlands (Gemeentemuseum Den Haag, 28 February - 23 May 2015), and from 18 April 2015 will be on at the Kunsthaus Bregenz in Austria. The substantial monograph being published by Mercatorfonds to coincide with the exhibition is conceived as an artist’s book. It documents the last 25 years of Berlinde De Bruyckere’s career, including visual source material from her rich archives. The editor-in-chief, Angela Mengoni, is contributing an essay to the publication, as are Emmanuel Alloa and Gary Carrion-Murayari. Philippe Van Cauteren, the artistic director of the S.M.A.K., adds a personal letter to the artist. The book is available at S.M.A.K. at the exclusive price of 55 euro instead of 64.95 euro.